The shocking announcement of the Foreign buyer tax last week dominated headlines last week. Although it had it’s many flaws as I pointed out in my post What to Make of the Vancouver Foreign Buyer Tax, the impact of foreign buyer tax remains to be seen. What I witnessed last week was absolute mayhem. The tax caught everyone off guard and left buyers, sellers, lawyers, Realtors, developers scrambling to close deals before the August 02 deadline. While I held my breath for previous deals I had under contract thankfully none got derailed. However, I had many fellow Realtors tell me they had to change dates on several deals. I received a call from a developer in which one of my clients bought into asking me if they were going to back out. 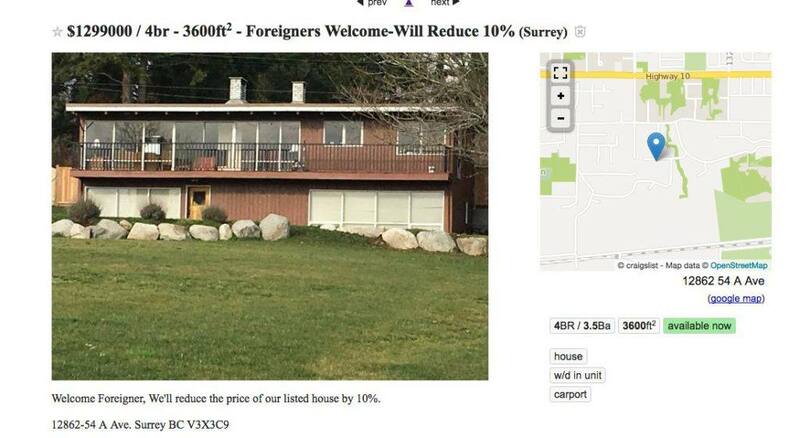 There were posts on Craigslist welcoming foreign buyers and offering them a discount. Much of this adding up to a situation where the Foreign buyer tax could cripple local sellers. A week later, with the dust settling, the numbers are finally out. I pulled up the sales from July 25-July 31. One full week of sales since the announcement of the tax. Sales dates on the MLS are recorded as per the date the of the agreement between buyer and seller on the contract. However, some sales don’t show up right away. It generally takes 24 hours to show up as sold on the MLS. However if there are subjects on the deal it will take even longer. Here are the preliminary numbers – which will change slightly in the next few days as the rest of the sales trickle in. As the numbers indicate it was a painfully slow week for the real estate market. This backs up my thoughts and discussions with many Realtors that buyers and sellers are basically at a stand still to see what will happen next with the market. Add to the fact that it was a long weekend and many people were out of town made the real estate market look non existent. The detached homes have been on a slowing trend for some time now. However the same can’t be said for the attached housing market. But even this past week seemed to be a significant change for the condo/townhouse market. As you can see a very slow week for real estate. This data has been updated as of August 04, 2016 at 12pm. Full disclaimer more sales will trickle in from the previous week but regardless the end number should be much less than previous weeks. The market was already slowing and it appears Christy Clark’s new tax has slowed it even further. Time will tell if this trend continues.